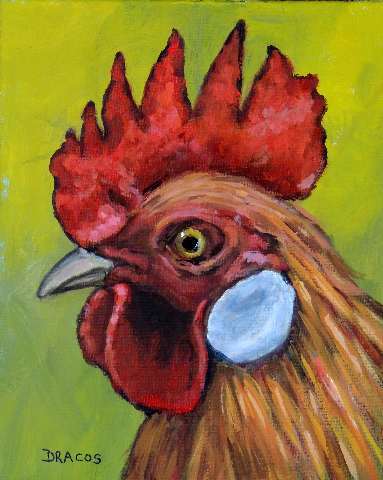 This little rooster painting is on an 8x10" canvas board and is one of several rooster paintings I'm doing at this time (the others are larger). As usual, I'm selling both the original and prints of it. 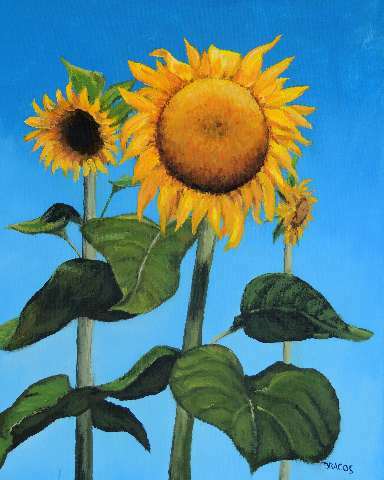 This painting I did for myself because I love growing sunflowers -- and seeing them so much. I become happier just looking at them, whether they're in my garden or on a wall in my house. This one is currently hanging on my own kitchen wall. However, if someone really wants the painting and buys it, I can, of course, do another sunflower painting for myself : ) . The original acrylic painting is a 24x36x1.5" stretched canvas. Prints are available as well.